Everyone needs a durable backpack for travelling. Well-made backpacks are designed to be waterproof and more outdoor-friendly for backpackers and hikers to carry travel stuff on their way. Other than the durability, backpacks with comfortable straps are more welcomed because you would hope that you carry a light bag on the shoulders for long hours without feeling unbearable burden. Let’s share this buying guide for an ideal backpack that fits you most. When it comes to a backpack, users seem to be more concerned about the backpack compartments. Well organized compartments offer you quick access for what you need to get from your backpack. Quality backpacks have a good layout of compartments, usually including a main big pockets and some smaller pockets. Most backpacks typically have side pockets and bottle pockets. Durable materials are a must-have feature for modern backpacks because backpackers would meet basically all kinds of weather conditions. A durable and waterproof backpack can help keep your stuff safe and sound. The size of a backpack is very important because the size will define how much stuff you will be able to take for your travel. Some unique ideas and materials have been used for new types of backpacks, making them large enough to contain a lot of things for your outings, yet, they don’t actually appear to be too bulky when worn on shoulders. Better made straps will let you enjoy comfortable wearing for long hours’ hiking. The new design of shoulder straps make you feel the minimum weight on your shoulders. Here are some good examples of quality waterproof backpacks that will meet your need for everything. 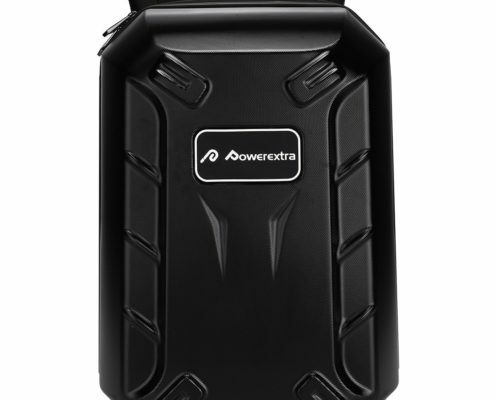 This Powerextra waterproof backpack is uniquely designed for DJI Phantom 4 Quadcopter and Phantom 3 Professional, Advanced, Standard, 4K Quadcopter Drone and Accessories such as battery, charger, remote control, propellers. However, if you remove the foam inside, it can be used as a travel backpack as well. The highly protective EVA material for the hardshell case will fully protect your items inside for worry-free travel. The carrying case is waterproof so that you can wear it on rainy days for your adventures during hiking. 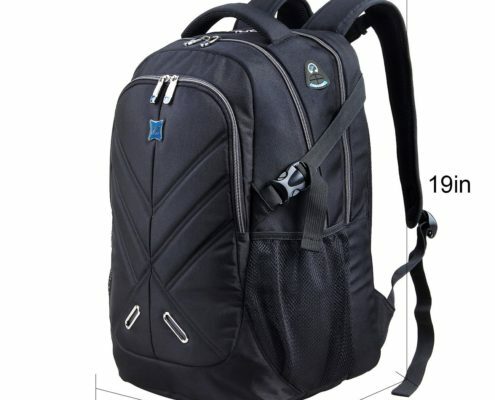 The carrying backpack has nicely-stitched zippers and ergonomic straps for great comfort and durability. 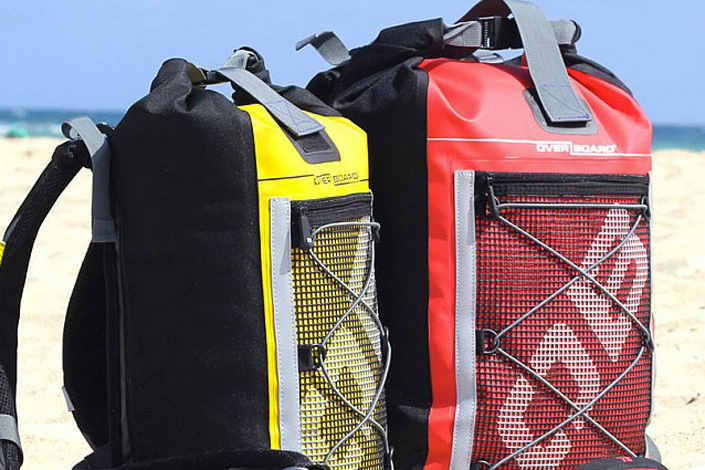 This waterproof backpack has a 35 liters large capacity, which is able to store a lot of things. Despite large size, it weighs in at only 2.4 pounds, it doesn’t look too bukly when you wear it on your shoulders. Thanks to the sternum clip and padded back support, the backpack helps relieve pressure on muscles. The thick and well-cushioned straps can be easily adjusted for most comfort. The interior compartments keep different items separate, mainly for wet items like towels and swimsuits, and dry items like moible phone and other stuff. 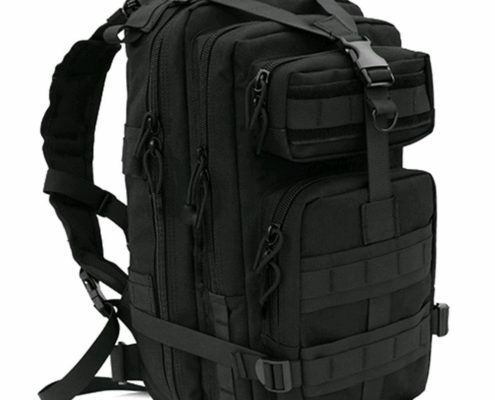 This outdoor tactical backpack is an ideal waterproof backpack for camping, hiking etc. It’s made of waterproof 600D nylon material, especially the inside pouches are extremely waterproof to keep your items well. Easily adjustable straps are designed for your comfortable wearing no matter how fully you pack this backpack. Besides, it’s a great backpack for hauling racing drons and equipment. The drone and accessories, like batteries, tools, goggoles, will fit right in the backpack. 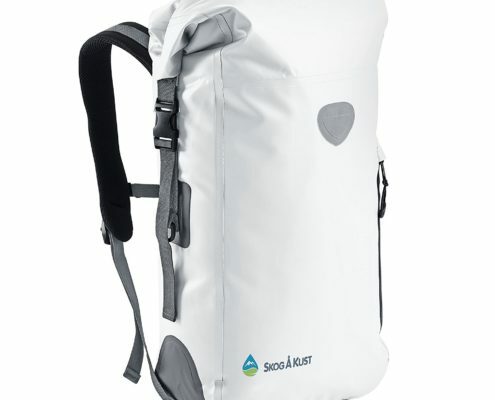 This travel backpack is made of superior water resistant polyester fabric and rain cover. The material is thick and highly protective when you use this bag outdoors. The travel bag contains a few compartments which are huge enough to keep a lot of items. The bag uses shockproof airbag technology for the padded laptop compartment which is able to protect laptop or other tablets from scratches and scrapes. It’s built with a velcro tap to keep your laptop securely in place.